For our latest review, we go away from our norm, and go to something that most men (and women) use, or have used at some stage in their lives. 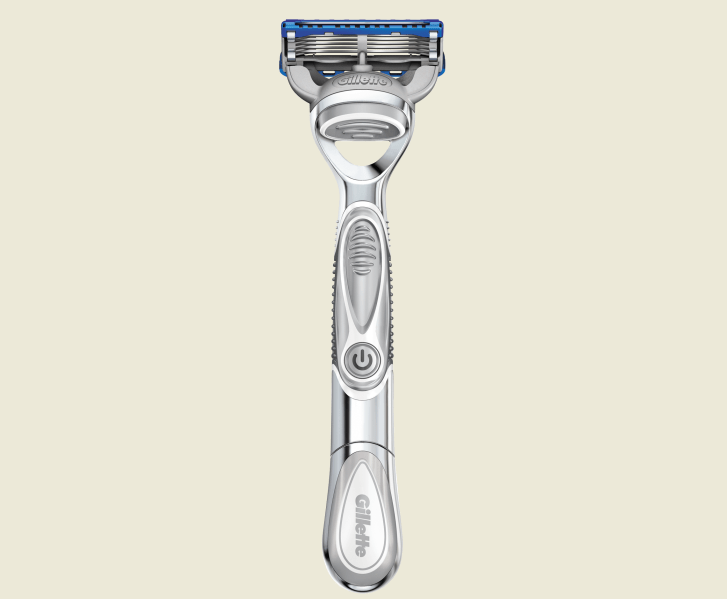 Gillette are a well known and well respected name when it comes to male grooming products, and from the days where they managed to put two blades on their razor, all the way to their latest offering, the Fusion Proglide Power. So, before you question the gadget part of it, be rest assured. This is definitely a piece of technology, a gadget every man who shaves should own, and a very impressive bit of engineering. When the power turns on, the razor moves so effortlessly, you’ll barely feel the blades. Aha, so what else does it feature? 5 blades packed in a thinner, longer laster package. A Lubrastrip below the blades to provide lubrication, and aid glide. A Blade Stabilizer, which ensures the blades maintain their spacing, and a comfort guard to help stretch the skin in front of the blonds. A Microcomb to guide the hair to the blades. A precision trimmer on the back. While all the above sounds very impressive on paper, how good is the shaving experience? Just to let you know, I normally feature something between a stubble to a beard on my face, and that is normally governed by the fact that I find shaving so annoying, that I often just go weeks (or months) without getting a proper shave. By the way, I do have a trimmer, so there are ways around my problem! Anyway, the test. I was cynical, and I am happy to report that the claim it made earlier is actually true. You hardly notice the blades on your face, and the little technology they have packed in which delivers the micro-pulses is very clever! I have been converted, and this has replaced my old Fusion Glide, which was manual. Gillette also provided me with their after shave balm, as well as a moisturiser, and they definitely provide the essential comfort you need as you progress with your day. Unlike many of the other things we review, this is literally available in almost every shop out there! It retails for £14 (recommended price). I was cynical, and this proved me wrong. Not many devices do that, and for that reason, I’ll definitely recommend this. Specially, if like me, you have sensitive skin and generally find that a shave leaves you with an itchy and blotchy face!